Could old content be dragging down the overall “authority” of your website? We think so. 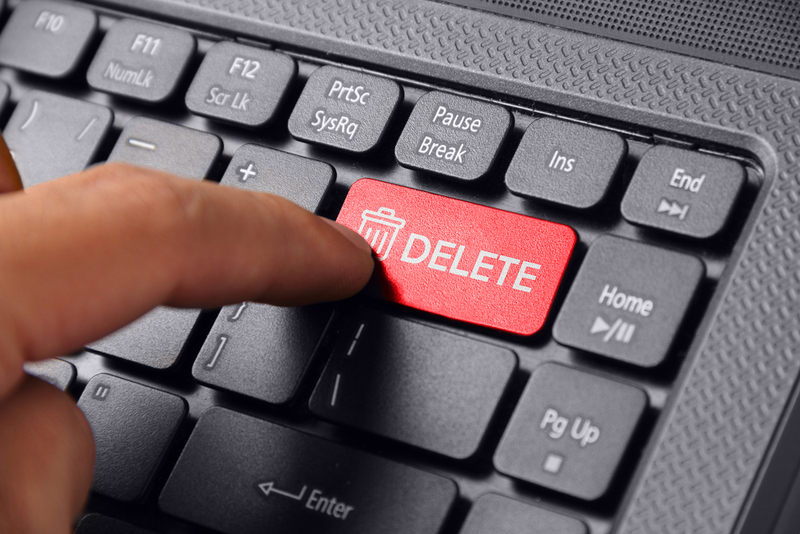 You have an important decision to make: should you improve your old content or remove it? Making the right decisions during this process can bring great rewards, in terms of traffic, organic search visibility (rankings, featured snippets, etc. ), links, conversions, and engagement. 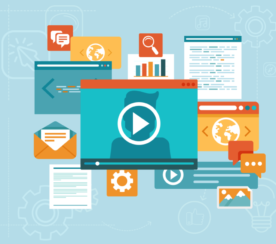 On March 27, I presented an SEJ ThinkTank webinar to share the process we at Search Engine Journal has been using to improve and remove old content for the last 20 months. On Google’s end, nothing has changed. But what has changed is this little thing called content marketing. Around the time of the original Google Panda update, a lot of businesses and brands finally bought into the idea that content is king. They started creating all sorts of content – some of it was great, but most of it was average, far below average, or just outright terrible. Today, lots of content is being published, but most of it isn’t very useful. A lot of it is redundant. In 2016, the web was made up of about 130 trillion individual pages. But the Google Search index contains hundreds of billions of webpages – only a portion of the total pages available in the web. The search engine is filtering out a lot of stuff and you don’t want that to be you. It’s 2019. Our mission can’t stay the same. It’s time we all start thinking about content in a new way. Google spokespeople have downplayed the idea that “old content won’t hurt you.” They have also warned that removing content is a dangerous SEO strategy. Not based on our results. For the last 20 months, we’ve been hacking and slashing our way through our archives which resulted to increased pageviews and organic traffic of up 60+ percent YoY. When I started as Executive Editor in July 2017, we had 910,000 pageviews. In January of this year, we just had a record month – 1.7 million pageviews. At that time, we had about 18,000 pages. And we just topped that record again in March – more than 1.9 million pageviews. Today, we still have 18,000 pages indexed – we’re just getting more out of the same amount of content. So how did we achieve this growth? Here’s the process we used. The process all begins with auditing and evaluating your content. Content that does absolutely nothing for you. Content that can hurt you. We need to figure out which bucket all of our content fits in. Since 2003, Search Engine Journal has been creating tons of content and it came to a point where it got really messy and disorganized. We needed to get out of that chaos. The first step in the process is to crawl your content. Here are even more crawlers. Choose whichever crawler works for you. Title: Is it optimized? Does it include a reader benefit? URL: Is it SEO friendly? Do you need to change it? Author: Who wrote it? Is it an expert/authority in the field? Publication date: Is it still fresh or out of date? Word count: It isn’t necessarily a sign of low-quality content but it could potentially indicate quality issues. Number of links: How many inbound and internal links do you have? Trust Flow and Citation Flow: This is Majestic’s metrics for quality score and link equity. Next, you’ll need to analyze the quality of the content you have on the website. Has no goal / purpose. More valuable and useful than other sites. Expertise: Your unique skills, information, or knowledge. Authority: Other people know about and recognize your skills or knowledge. Trust: People believe what you think, say, or do and feel secure buying from or endorsing you. Main content quality is low. Unsatisfying amount of main content. Ads or supporting content distracts from main content. Unsatisfying amount of info about website or content creator. Mildly negative reputation of website or content creator. What’s the best action to take when you find out that you have low-quality content? Should you remove or improve it? Both of these Googlers go against the idea of content removals. But where exactly did that idea come from? These different recommendations present a conflict. Which tactic is right? traffic as the bottom 97 percent combined. We’re talking about a few hundred posts driving as much as several thousand posts. We have all these vague statements on content quality from Google, but how do we assign actual metrics? Ultimately, there are a lot of variables that influence the success of your content so use your best judgment whenever you’re evaluating your content. 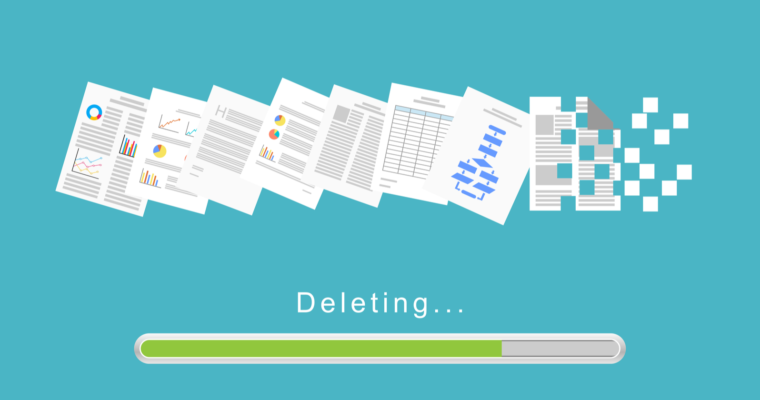 The final step of this process is making data-driven decisions about whether you should improve (update, rewrite, or consolidate) or remove (deindex) old content from search engines. All information is accurate, or has historic value. It consistently gets good traffic and engagement. It has attracted many quality links and social shares. It ranks in Position 1-3. If content is already working well for you, leave it alone. Focus on areas where you can actually make gains. Gets consistent traffic (or used to). Has earned some valuable links / shares. Ranks on Page 1 of Google. Update information so it is accurate. Make it better than your SERP competitor(s). For example, for the past few years, SEJ’s Assistant Editor Anna Crowe has published a marketing calendar post that needs to be refreshed yearly. In 2016, we published the first version, which got a respectable 22,000 reads, ranked in the top 2 of Google, and got ~2,000 pageviews per month, on average. By the end of 2017, the content needed an update for 2018. #1 ranking for [marketing calendar]. About 5,000 pageviews per month, a more than 2x improvement. Currently gets little or no traffic. No longer attracts new links / shares. Doesn’t rank on Page 1. 301 redirect old to new post on a new (optimized) URL. Google can forward PageRank through 301 redirects. Not all 301 redirects pass 100 percent PageRank. A 301 redirect will pass 100 percent PageRank only if the new page closely matches the topic of the old page. For example, SEJ had a post on a popular SEO topic – subfolders vs. subdomains. However, our version, which was written in 2008, had fallen off Page 1 of Google and was only get about 50 pageviews per month. So Jenny Halasz, who writes SEJ’s Ask an SEO column, rewrote it and we published with the title Subdomains vs. Subfolders: Which Is Better for SEO & Why? About 4,000 pageviews per month, an 80x improvement. You have multiple articles on one topic. One piece gets some traffic; others get little or none. They do not attract any new links or shares. Two pages are competing on the same SERP. “Probably. I think that’s something that generally… we see if you take two or three or four kind of weaker pages and merge them into one, even within the same site or externally, then that’s something where we can say that this is a stronger page. Create one awesome piece of content. Start from scratch, but you can reuse any useful existing content. Make it better than your competitors. 301 redirect to new (optimized) URL. So that’s just what we did. SEJ Contributor Ashley Ward wrote How to Do a Content Audit: The Ultimate Checklist. About 300 pageviews per month, a 10x improvement. It’s poorly written / off-topic / syndicated / stolen / plagiarized. It has no historic significance. It has a very low number of pageviews. It has few or no traffic, links, shares, conversions, or engagement. 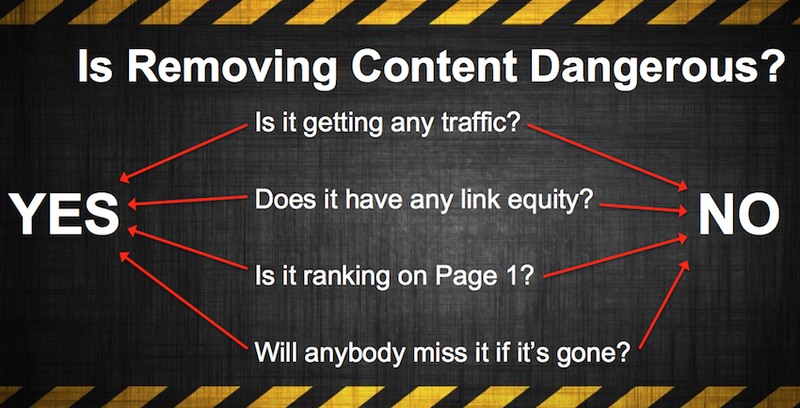 If you answer “yes” to any of these questions, then removing content could be dangerous. But if you answer “no,” to all these questions, then it’s time for that content to go. Audit: Know what content you have. Evaluate: Improve content if you can (rewrite, consolidate, update) or remove content if you can’t (deindex, delete from website). Measure: Use metrics that matter to your company and use data to decide the fate of your content. Thanks everyone for all the great questions. I’ve tried to answer as many as possible here. Let’s dive in! Q: If all your content is not high quality, should a new website be the opportunity to delete all of it to create high-quality content? A: Unless your website is currently penalized, or has been penalized in the past, or if the domain name somehow ties you to a niche/market that you want to exit, I don’t see a reason why you can’t start from scratch at the same domain. Creating great content is a hard process. But the rewards are there for those who can do it well over a long period of time. It will just take Google a bit of time to figure out that things have changed and reassess all the new content and its quality – and figure out what the new and improved you is all about now. A: The best way to deal with pushback is to get OK with a small trial to make your case. Start by using your analytics data to tell your story. Show that the content is currently doing nothing for your site, whether it’s traffic/sales/whatever. This should open the door to get the OK to try out content pruning and measure the results. If you can then showcase a win, then you should be able to make the case for scaling up. Talk data and focus in on the metrics that they want to see grow, and how content pruning will help you get there. Q: Where do you 301 the thin pages you delete if there isn’t a logical destination / another page about the same topic? A: You could 301 it to a category page. If that doesn’t work, I’d just deindex it. Q: Does this apply to sites with low page counts? SEJ has 18k+ pages and tons of authority. Would this still work on a site that has 150 pages or less? A: I haven’t tried it on a site that small, but yeah I honestly doubt you’d see the same results. However, if you start producing and publishing more content, in a couple years you may have a bit more to work with. Q: If I delete a boatload of thin content and redirect to my homepage, are there any downsides to that? I could just delete, but some have a little bit of authority. A: If the topics are relevant to your space/niche/industry, it should be OK. But if you’re redirecting a lot of content on random topics to the homepage, I could see it being confusing to Google, especially if those keywords aren’t used anywhere on the homepage. It’s the whole idea of am I doing an A to A or B to B redirect. But if you’re redirecting topics B, C, D, E, and F to A, and they’re all different, I could see where you would either see no benefit from it, or possibly even a slight ding from it. Q: If I deindex/delete a page, do I need to 301 it? Or is that not necessary since I really want it to disappear. A: If it has any value (e.g., link equity) and you could 301 it to a relevant page, you should. If not, then no. Q: As the algo gets better at ranking content for the most precise keywords (via neural matching/deep synonyms, etc.) would you say that it’s natural for some content to simply not rank as strongly for the same keyword over time OR rank for fewer total number of keywords over time? Meaning.. this is an algorithmic change, not really a content issue? A: Google is absolutely trying to get better about matching queries to user intent (with mixed results). So we must adjust our thinking and content as well. If you have a piece of content that used to rank well for certain queries, you should check those SERPs now. See what Google is ranking now. Has the intent changed (e.g., maybe once it was a transactional/bottom of funnel search, but now it’s an informational/top of funnel search)? Or are they showing featured snippets, or videos, or news results, or any other special content result blocks. If it is an algorithmic issue, it’s still a content issue you must deal with if you want to maintain your visibility. Q: I just wonder that after you rewrite the content, is the target keyword still be the same? Q: I do not show ANY ads on my pages. Is that good or bad? A: The lack of ads is neither good nor bad, taken alone, in terms of content performance. Q: From a customer service perspective with educational based content, what are some other metrics you’d recommend for good “quality”? Conversion doesn’t really make sense. A: Google Analytics has some good content metrics. Time on Page. Bounce Rate. Session Duration. These are all indicators of content success. I’m also a huge fan of the New vs. Returning report, because it will give you an overall feel of whether your content is making people come back, or if you’ve got a lot of one-and-dones. Q: To clarify, having the same primary keyword for multiple pages on the same website is a bad thing? A: It can be. For example, let’s say you have one page that’s maybe three years old and has some outdated info. This page is outranking a really good and newer page. I’d consider that a problem. Ultimately, though, this really depends on your own strategy and what you want users to do if they land on your page for a certain query. But as Loren mentioned in the Q&A during the webinar, if you have a couple pages competing with each other low on Page 1 or beyond, sometimes sacrificing one of those 2 pages can help the other jump up even higher. Q: How do you gauge content success when you are entering a new market area where you are not recognized. When should the content success be assessed in this situation. A: Whenever you’re entering a new market, it will take time to figure out exactly who your audience is and what content they want. With content, you definitely need to experiment. A lot of these experiments will fail, but that’s perfectly OK, because you can learn as much from content that fails as content that succeeds. I’ve built content for a domain from scratch, and when I’ve done this my thinking is this: I’m creating content now that will help me later. Generally speaking, it should take about a year before you can properly assess your content performance. But it could be as long as 18 months – or sometimes even longer, depending on how often you publish, how much competition you have, and how much demand there is for your content, among other variables. Q: When you rewrite, do you modify content on the same URL or create a new URL? Why do a redirect and not just use the same URL? A: This can go either way. If you think the URL is SEO friendly, then keep it and modify and republish the content (with an updated date, if you include dates). I found, with SEJ, that a lot of our URLs weren’t optimized, or durable/evergreen. So, for instance, we have a lot of posts with numbers in them (e.g., 10 Things You Need to Know About SEO). And the URL might be 10-things-you-need-to-know-about-seo. But what if you want to rewrite it and make it 11 things? Or 15 things. Or what if I totally want to abandon the list format and do something else? Then the URL doesn’t match the title, which I think it troublesome. It keeps you in a box. Or what if you want to use a better word than things, which is vague. If you have an unoptimized URL, and it’s still getting traffic, it may feel dangerous to change it, especially if it’s an important page. I’ve shared our results – the process has worked for us and helped us grow traffic. If you’re worried, you can always start small, and see if this process works for you. Q: Your presentation seems to focus mostly on posts. What about pages? Will they also improve if refreshed regularly? (i.e., Home, About Us, Services, Categories,) etc. A: Yes. Pages that show signs of a significant decline can benefit from a refresh. Your content is only good until it stops helping you. Once you reach that point, you need to refresh it. But I wouldn’t suggest refreshing content if it’s still performing well or doing whatever you want it to do. And always update any static pages to keep them up to date – e.g., if you no longer offer a service or someone on your about us page is no longer the person to contact, you want to update that immediately. Q: If consolidating multiple posts on the same topic, I’m concerned the consolidated piece will be too long. How do we go about navigating the length issue (or is this not an issue)? A: When consolidating, you only want to salvage the best parts of anything you reuse. You don’t need to save or re-use everything. Look at the SERP and check the word counts for what’s ranking in the top 10. If it’s 1100 words, you want to do something in a similar range. Q: Do you recommend using the robots.txt file to keep categories from being indexed? How do you get around Google wanting to “see” everything? A: I don’t think Google wants to see everything anymore. It sees too much content as it is. You should let Google only see your best and most useful content. For many queries today, category pages aren’t ranking as well as they used to. Mainly because, if a user clicks on a page, they typically are looking for information/resources, not to go hunting through links on a category page. Ultimately it comes down to your strategy and how important category pages are for you. Q: Many of the websites I work on are websites of print magazines, and much of the older and outdated content is archive material from the print edition. Would this have “historic value” or is it harming our sites? A: When I talked about historic value, I’m basically talking more about news, such as coverage of important developments in your industry, trends or events. If your archived material is a genuinely good resource for your audience, then I don’t think that will hurt your site (it will likely be neutral at worst). With SEJ, it is the case that we have covered thousands of news stories about search and digital marketing over the years. I think those news posts have historic value. One thing you can consider doing is finding ways to promote that older content – maybe via social media updates, a mention in a newsletter, or a “flashback” type of feature where you talk about something that happened on this day five years ago. Q: Can you elaborate further on the E-A-T concept? A: I’d suggest reading Google Says You Need Expert Writers: Content Standards from the New Search Guidelines. Q: We have a lot of blog article throughout the years that basically do the same thing. Cover the same topic. Share the same info. Would we be better off deleting old posts, pointing URLs to the best version, or leave them all up? A: If the old posts aren’t getting any traffic or doing anything to help your site (looking at the metrics that matter to you), I would definitely suggest 301 redirecting all the old posts to your newest and most awesome “hero” post on that topic. If that doesn’t exist, then create it. And use anything you can from the old posts. Q: Doesn’t having six articles ranking on Content Audit push your competitors to a later page? A: No, because we weren’t ranking on Page 1 with any of these articles. After we consolidated, we finally got on Page 1. Q: Did you change the URL and redirect on the subdomains vs. subfolders article or keep the same URL? A: Yes, we published the new article on a new URL and 301 redirected the old post to the new. Q: If you have 3-4 articles on page 1, including a couple in top 3, would you still consolidate? A: Interesting problem to have. Consolidating is definitely a risk. If I had 4 articles on Page 1, I would consider testing out with the bottom 2 posts first, probably redirecting the lowest performing article (in terms of metrics) to the one ranking highest, and see what happens. Maybe you’ll get that bump to Position 1. Sadly, there are no guarantees, whatever route you choose – but as a backup, you could always preserve the old content and undo the redirect if it fails to push any of your other 3 posts higher. Q: All of my pages have the same general layout, banner, menu, terms etc…. So apps, tell me I have duplicate content but the core content is different. Differnt blog posts etc… but all pages have common elements. Is that a problem? A: That sounds like most webpages on most websites, where you have unique main content but similar layouts and elements. Doesn’t sound like a problem, unless you have the same content on multiple pages of your site; multiple URLs serving the same content; or if you have content that was stolen from other websites. Q: If we keep the URL the same but refresh the copy, do we need to also keep the metadata the same? A: If you can, make it better. Optimize it. Make sure the user benefit is clear. Q: When you say rewrite – how much of it is rewritten? A: However much needs to be rewritten. It could as little as changing a few dates or it could be a more substantial overhaul. Typically, when we do a rewrite, it’s 95-100 percent different. Q: I work for a nonprofit. Should we remove dates from our video pages and our story pages? They are evergreen and probably don’t really need dates. A: You can. Dates aren’t essential. Q: What are the main KPIs that you analyze when you evaluate a new written piece of content? 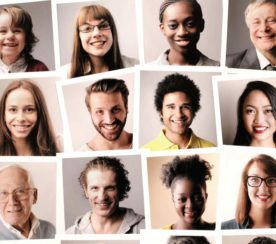 How can you measure quality? A: Typically I focus on the total number of pageviews, rankings, organic traffic, link equity (Trust Flow/Citation Flow), and social shares. These metrics tell you whether the audience responded to it. Content is just the format you use to deliver an idea or concept. The better the idea/concept, the better the content will be. Data is the only way to measure quality, so choose the metrics that matter most to you. Q: Very targeted and specific content on a blog that does not have lots of readers, is that quality content still? What is the minimum # of readers? A: This will vary. Typically, I use the 80-20 rule as a starting point. Meaning, look at the bottom 20 percent of your content first. This is typically content that just didn’t work for whatever reason. So it won’t start magically working for you today or a year from now. Q: How often shall an optimized content be checked as I assume that it takes some time until the change has some impact. Is there a recommended timeframe as to when to update content? A: If it’s evergreen, check it either quarterly or yearly. Quarterly whenever you’ve made any changes and you want to assess if they’re working or not. Yearly for everything. It also is a good idea when a major algorithm is announced or highly suspected to see if any of your pages ranking/traffic dropped. You might notice some patterns you can address. Q: Why would you change multiple variables on a content page – like your Paypal example – rather than push it out incrementally and review? Could the Paypal anomaly be related to a lack of topical authority…or Your Money or Your Life ? A: We had successfully changed multiple variables before. Our goal is always to put out the best piece of content we can. In all the examples I shared (aside from the content refresh) plus dozens of others, we had changed authors, URLs, and content. And it had worked for us. It could be a question of topical authority, but that wouldn’t explain HubSpot ranking #1. Q: If you have a topic that keeps updating year after year, would you not recommend putting the year (i.e. 2019) in the URL? If the date were in the URL, it can help with optimization for the search query, but every year, we’d have to 301, and I know we don’t want a lot of 301 redirects. What do you recommend? A: Having the year in the URL is an intent signal. We actually found that putting the year in the URL was detrimental to rankings after a certain point because it would rank well, but then lose all its value once the new year comes around. Whenever possible, I’d recommend evergreen/durable URL so you can keep building authority for one URL year after year. You can more easily change the headline/title tag/meta info to include a year. Q: I’ve heard that 750 words is a criteria for blogs. Is that the case or is that more myth? And what word count would you suggest for content as for some topics doing content to 1,500 words is really hard. A: Figure out what query you want to rank for. See what the average length is of the posts on Page 1 for that query. There is no ideal or perfect word count that works in all instances. It varies by query. 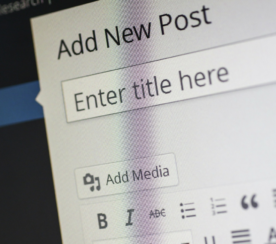 I’ve seen posts with 300 words outperform posts with 3,000 words. Really, you should write for your audience. Entertainment content is more fluffy/shorter than say marketing content. Q: So when you updated a dated piece, you just rewrote the Title and updated the content? A: Yes. Titles can always be improved. And we test our headlines as well. We try to always test out 3 headlines and pick the winner based on engagement (clicks). Q: Were there other paid campaigns built around high performing pages to help them rank organically? A: No. We only do paid campaigns for our ebooks and sponsored content, they weren’t part of this case study. Q: So, when you’ve got a couple of below average pages and merge them into one better page with a better slug… what do I do with the old page urls? Can I 301 several pages to the same new URL? Q: Would you apply this to all areas of content? Such as health care terms blog article of “what is an explanation of benefits”. This information hasn’t changed? A: If the info hasn’t changed, but you aren’t ranking, getting some fresh traffic and engagement to the topic could be all you need to help you gain visibility. The example I used was subdomains vs. subfolders, which is a topic that’s still talked about and debated today as it was 10 years ago. 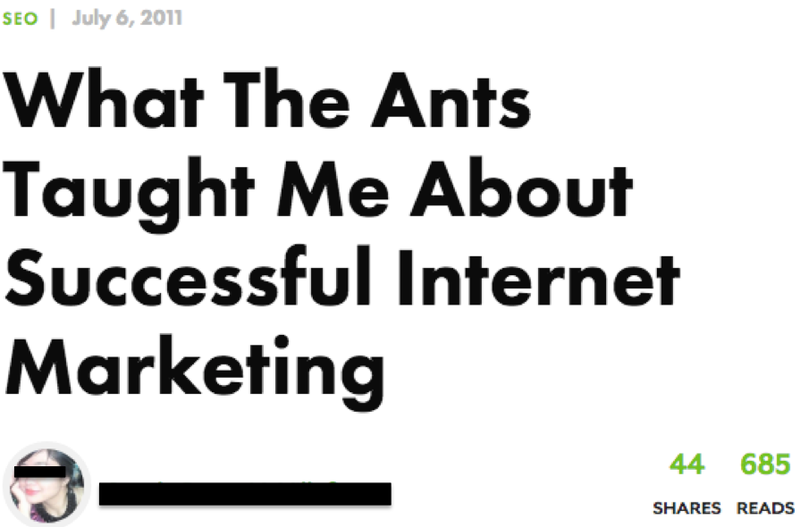 Remember: not everyone in your audience will read everything you publish every day. They may miss it. So republishing content can give it a second chance and also open it up to new people who weren’t following you a year ago. And even if people read it a year or longer ago, it’s highly likely they will have forgotten they read it. Q: If your site has a listing section of businesses – these don’t generate that much traffic. Would you advise to dump this? A: If the goal is solely to generate traffic, and it’s not doing that, then there’s a solid argument to dump it, yes.